Our Holy Wrath Paladin deck list guide features the best Rise of Shadows deck list for Season 61 of Hearthstone (April 2019). Our Holy Wrath Paladin guide also contains Mulligan advice, card combos and strategy tips. Holy Wrath Paladin is a Hearthstone deck for those of you who like to swing in with ridiculous amounts of damage in a single spell. 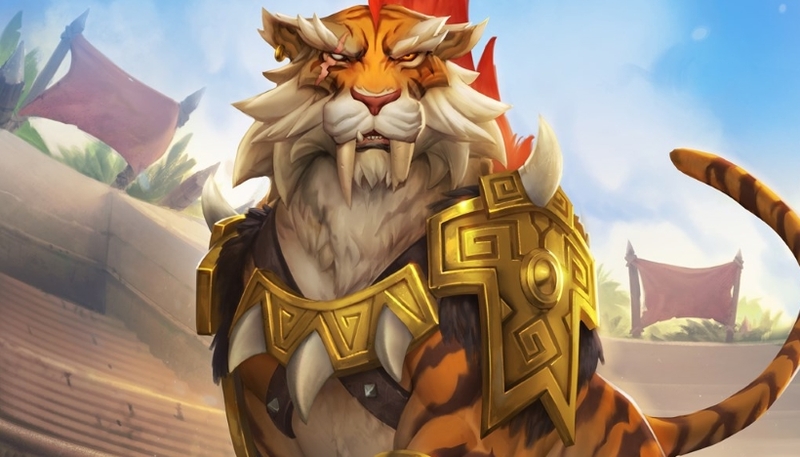 It’s based around combining one of the oldest spells available to the class, Holy Wrath, with the new Rastakhan’s Rumble legendary, Shirvallah, the Tiger, to deal a potential 50 damage in one fell swoop. As the new Loa minion starts at a cost of 25 mana, you can take full advantage of that with the Holy Wrath spell. It will draw a card from your deck and deal damage relative to the mana cost of the card drawn. To pull the combo off, though, it requires a significant amount of set up, which impatient players may find extremely tedious compared to more traditional decks! It's going to take some time to fully update Metabomb for the new Rise of Shadows meta, but we wanted to highlight a version of Holy Wrath Paladin you can play at launch. Everything below this point refers to a previous version of Control Warlock. We will fully update our guide once the meta has settled down. Here is a Holy Wrath Paladin deck list that's seeing the most play in the current meta. We’ll be sure to update this guide over the coming weeks with all the latest list tweaks. Playing Holy Wrath Paladin is all about working towards your Holy Wrath and Shirvallah, the Tiger combo. What you’ll need to do is play a lengthy game of resource management that’ll have you drawing through your entire deck, refilling your draw pile with a copy (or copies) of Shirvallah, the Tiger, and then casting Holy Wrath to pull them for 25 damage a piece to the opponent’s life total. The deck is built around hitting this point of the game, so you have a lot of card draw options with the likes of Novice Engineer, Potion of Heroism and Flash of Light. Survivability to reach the late game comes from powerful board clears such as Shrink Ray and Consecration. Don’t be afraid to play Shirvallah, the Tiger if you draw it early to stay in the game too, but just be sure you can combine it with a Baleful Banker to ensure another copy goes back into your deck to use with Holy Wrath later. 1. Crystology - A great card that pulls early presence into your hand, including card draw minions like Bloodmage Thalnos and Novice Engineer. 2. Novice Engineer - A super simple early board presence that will also start the process of cycling through your deck. 3. Righteous Protector - A very useful low-cost minion that should hopefully keep the opponent at bay for a turn or two if you're lucky. - With Bloodmage Thalnos out in play, all offensive spells will do an extra point of damage. - When you cast Holy Wrath it’ll draw the top card from your deck and deal its mana cost in damage to the chosen target. For this deck, you’ll want to engineer it so that the card you draw from Holy Wrath is Shirvallah, the Tiger so as to deal 25 damage to your opponent’s health. - You can add extra copies of Shirvallah, the Tiger to your deck using Baleful Banker. Hold onto the card and - once your draw pile is empty - play Shirvallah, the Tiger. Next, target it with Baleful Banker and then cast Holy Wrath to guarantee the 25 damage. - Combine Shrink Ray and Consecration together to give you a near-guaranteed board clear. You can also use Shrink Ray with Wild Pyromancer for a similar effect, but be careful as that will hit all of your minions too! - Considering the extra time you need to set up your combo, Time Out is a perfect card for making yourself Immune for that one additional turn you may need to get the last combo pieces in place.